(CNS): Police have not yet revealed the details of how a driver managed to smash his car into a dive shop on Tuesday afternoon. 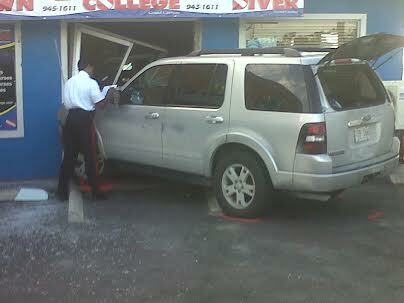 However, a grey Ford Explorer was captured on camera by a CNS reader after it appeared to have ploughed into the Divers Down dive shop by Casanova’s restaurant in downtown George Town sometime during the evening commute. (CNS): Cayman is reaching a crisis point regarding its elderly citizens as a result of meagre pensions and the failure of employers to extend healthcare to retirees, the independent member for North Side has said. Ezzard Miller believes the country needs to begin a national debate about how Cayman can ensure its elderly retire with some dignity because too many of them are in real need but often too proud to seek help from government. Miller said that in the first instance government needs to create an open and transparent system for offering support to the elderly and indigent and it also needs to revise the pensions and health insurance laws to prevent future pensioners spiralling into poverty. The MLA said that he has real concerns that the situation for many elderly people who have worked all their lives who have now retired is dire. Many have been forced to retire whether they wanted to or not and have done so on exceptionally small pensions because they have only paid into funds since 1997 and, having been employed by different employers, have been forced to pay into various schemes. With inadequate contributions dispersed across different plans, they are struggling to survive and their meagre conditions are being compounded by a lack of health cover. “We need a national debate now over this huge problem which is facing us,” Miller told CNS Tuesday. In the wake of recent comments by Finance Minister Marco Archer, who pointed out that government is spending millions of dollars picking up the health care tab because of private sector employers' inadequate provisions, Miller is calling for a bigger discussion about what he says is already a national crisis. He said it is time for government to be more open and transparent about how assistance is given to people via social services. “We can no longer have this hidden, secret system where no one knows who is getting what. It seems those who are recommended to the department by politicians are assisted while others get nothing because they haven’t got the right contacts,” he said. Miller said it was time for a transparent, properly established system and criteria which would make it clear who is entitled to what and on what basis. “We also need to revise the pensions law and reconsider one national pension plan,” Miller added. He said that he was not advocating that government run the plan but that a single fund would prove more effective. He pointed out that when workers move from employer to employer, they don’t necessarily transfer their past contributions, leaving them with tiny pieces in several different funds and very little to draw on come retirement. He said past governments had bowed to pressure from the private sector, which was seeking ways to make money from the decision to make pensions compulsory with multiple funds, but in the end it has been to the detriment of many workers. Miller said it would have made much greater sense for everyone to pay into one pot. He said there would be nothing to stop those with the means to invest in other plans but if the basic 10% of all workers earnings had gone into one plan then the returns would have been better and moving employment would have had no detrimental impacts to pension fund members. He said employers would have to start making health provision for those employees that retire or to put a stop to forced retirement .The independent MLA said there should be no mandatory retirement age, only a minimum age at which one can retire if one would like to. This, he added, would give people who are still willing and able to work a chance to accumulate more pension as well as keep earning for as long as possible. Miller said that he did not have all of the answers on how the country would address this growing problem but the essential thing was to begin the debate and start assessing the real size of the problem. A starting point, he said, would be more transparency, then the country can talk about viable solutions to help the community’s older citizens before it’s too late. (CNS): Reports by members of the public regarding what they thought was a near miss on Sunday was just a routine landing for the airport. A West Jet aircraft which approached too high continued on for a second run at landing, while a local CAL Express flight from the Sister Islands moved underneath to take the landing slot. Officials said that while people may have perceived that the planes were in close proximity, neither aircraft was compromised or in any danger at all. “The air traffic controller had both aircraft in sight,” airport officials said. “The controller used standard procedures to ensure continued safe operations." The CIAA said it remained committed to the safety of airlines and the travelling public and assured members of the public that its air traffic controllers continue to uphold international standards governing air safety. With only one runway, air traffic controllers at Owen Roberts need to be efficient in order to prevent delays. As a result, the controller was able to bring in the local flight while the international airline was re-positioning itself without causing any problems and ensuring that planes were coming down in a safe but timely fashion. (CIASA): The Cayman Islands Amateur Swimming Association (CIASA) continues to raise the standard for organized sport in the Cayman Islands, this time partnering with Dart to introduce the inaugural CIASA National Championships to the competitive swim calendar, taking place February 20-23rd at the Camana Bay Aquatic Centre. The CIASA National Championships for swimming will be conducted in the preliminaries and finals format that is commonly used in international competition. 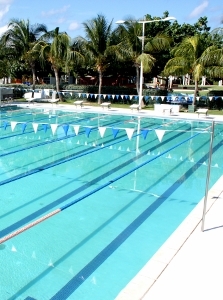 “Our Technical Director, Bailey Weathers and the coaches from our three swim clubs all agreed that Cayman’s swimmers would benefit from having a prelims and finals meet here at home,” said CIASA President Peter MacKay. “International meets such as CARIFTA, the Island Games and the World Masters Championships use this format and now our swimmers can start developing strategies which will allow them to swim fast in the preliminary heats, thus getting to the finals; and then faster in thefinals. Our goal is to get Cayman swimming in to as many finals as possible and this is a step in the right direction towards preparing our swimmers to do so,” he added. In addition to being the first swimming National Championships, this is also the last local meet that Cayman’s CARIFTA hopefuls can achieve CARIFTA qualifying times for the pool events at. Prior to CARIFTA there will be a 5K Sea Swim which will provide eligible swimmers with another opportunity to make a CARIFTA Open Water qualifying time. CIASA will announce the members of the CARIFTA 2014 CIASA Representative Team the week of March 10th. Please contact the CIASA Technical Director, Bailey Weathers, at technicaldirector@ciasa.ky if you wish to provide financial support/sponsor the CIASA Representative Team competing for and representing the Cayman Islands CARIFTA 2014 in Aruba in April. The CIASA National Championships is for swimmers of all ages, including Masters Swimmers and will have 158 different events available. Members of the public are encouraged to come to the pool and support our athletes or to volunteer; and if you want to volunteer please contact Meet Directors Albert Anderson at ava@candw.ky or Ian Lambert at iclambert@hotmail.com. Swim action starts on Thursday 20th and Friday 21st with prelims at 8:15am and finals at 4:45pm; and on Saturday 22nd and Sunday 23rd prelims are at 8:30am and finals at 4:45pm. The Cayman Islands Amateur Swimming Association (CIASA) is a volunteer, not for profit association dedicated to furthering the interests of all aquatic sports in the Cayman Islands. CIASA is the recognized Governing Body of aquatic sports in the Cayman Islands and is a member of FINA, UANA, CCCAN and the CIOC. For more information on CIASA www.ciasa.ky. (CNS): The president of the Cayman Islands Chamber of Commerce has taken the minister responsible for rubbish to task over his decision to set up a committee to deal with the country’s pressing waste-management problem. Johann Moxam questioned Osbourne Bodden’s courage to make a decision about the growing George Town dump and said there is already a plethora of information out there on how to address it. The Chamber boss said there is no need for this latest group of people to go off visiting more landfills to find out what is already known. Moxam and the Chamber are not advocating for relocation but believe government could begin the process on site using local expertise without a new round of analysis. In a letter to Bodden written last month, to which the minister has still not replied, Moxam asked what value there was in more “fact finding missions and exhaustive research” because the islands cannot afford more time wasting, waiting for the latest government administration to decide on a solution for this urgent, public health matter. “The public sector facts, data, reports and expertise assembled from 2005 to 2009 and again from 2009 and to 2012 are easily available on island or accessible through desktop technology,” he wrote, adding that during the request for proposal (RFP) process in 2010 a wealth of information on best practices and possible solutions for the local challenge were given to government. “There are several local companies, stakeholder groups and private citizens who continually keep abreast of best practices in solid waste management and practical options for addressing our local problem,” he said, as he urged the minister to tackle the issue now. 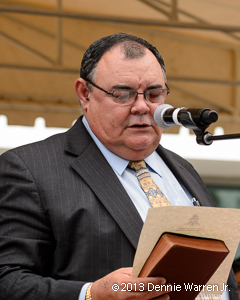 Moxam said government lacked not information but clarity about what it is trying to achieve. “It is lack of courage to make a decision in the best interest of our Islands. On 29th January the (Chamber) Council wrote to the Chief Environmental Health Officer Mr Roydell Carter seeking the government's policy on solid waste management in the Cayman Islands. We await his reply,” he wrote, making it clear that the Chamber does not believe government has an effective policy of any kind in place. Urging Bodden to set a deadline of September this year for an agreed national solution, he said the minister should use the well-established, credible public-private sector mechanism under the Chamber’s Future of Cayman structure. He said members could help government arrive at a practical, implementable solution to this long standing problem. Moxam told CNS that he has not received a reply from Bodden to his letter, in which he does not advocate moving the dump. He said that over the past 15 to 20 years the reports and assessments had all indicated that government could tackle the problem of "Mount Trashmore" on the current site. The solution to the dump which was arrived at during the previous PPM administration, via a cross party committee, was for a waste-to-energy and recycling combination programme at the George Town site. An RFP was conducted through 2010 and at the end of the year in December the Central Tenders Committee announced that the US garbage experts Wheelabrator had won the tender and would begin talks with the Department of Environmental Health in January 2011. However, even before their first meeting, then premier McKeeva Bush overrode the CTC decision and announced he was going to swap the dump site with Dart for a new lined landfill in Bodden Town. When government began its talks with Dart, Wheelabrator withdrew from the picture and the dump grew. Significant opposition to the decision to move the dump as well as problems with the talks between Dart and the UDP, and then the interim Cabinet after Bush was ousted from office in December 2012, derailed that plan. With the PPM taking office in May having campaigned against a move, Bodden took the Environmental Health portfolio and promised he would be following the process set out in the fiscal responsibility agreement that Cayman has signed with the UK. Bodden recently told CNS that he has no option but to follow this process unless the UK gave him permission to move more quickly. He said that government first had to present the business case for the new waste-management solution, something which, despite all of the research and reports, has never been done. Then, as with any project involving public assets, government must piece together an RFP based on its policy decisions and the justified business case. It will also need to conduct an environmental impact assessment. It is at that point that the request for proposals can be published, which will in turn be considered by the Central Tenders Committee and a contract awarded. Bodden stated that he believed this process cannot realistically be completed in anything less than two years. 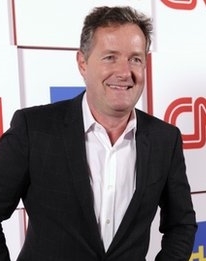 (BBC): Former Daily Mirror editor Piers Morgan has been questioned by police over phone hacking, it has emerged. Police confirmed a 48-year-old journalist was interviewed under caution on 6 December last year. The CNN host, who has not been named by Scotland Yard, was questioned as part of an investigation into alleged hacking at Mirror Group Newspapers. Morgan, who has always denied any involvement in the practice, confirmed he had attended the interview. He was interviewed as part of Operation Golding, the investigation into allegations of phone interception at Mirror Group Newspapers, which is a strand of the wider Operation Weeting. In a statement, Mr Morgan said: "In early November I was asked to attend an interview by officers from Operation Weeting when I was next in the UK. This was further to a full witness statement I had already freely provided. I attended that interview as requested on 6 December 2013." CNN said it was aware of the interview before it took place and had no further comment to make. (CNS): With the goal of reducing work related injuries, improving productivity and engaging a commitment to safety by managers on site the Department of Labour and Pensions led a two day workshop last week. Officials said the session was about promoting training and employee involvement in hazard prevention and control. The first workshop for 2014 which is part of the DLP’s ongoing offering of a nation-wide training and certification programme some 17 people took part. Gene Hydes, a senior labour officer for the DLP was the presenter and he focused on the identification and prevention of hazards in the construction industry workplace. Hydes is a member of the International Association of Safety Professionals, an associate member of the Institute for Occupational Safety and Health (IOSH), and one of the few safety auditors and accident investigation technicians in the Cayman Islands. “This group of 17 participants represented a wide range of roles and a variety of employers within the construction industry, providing for diverse and interesting contributions,” he said. The workshop reviews management of safety and health in the workplace environment, worksite analysis, construction safety, hazard prevention and control, as well as employee safety and health training. Upon completion, the participants received a certificate of participation. For more information on the OSH training contact Gene Hydes at 244-4008 or email gene.hydes@gov.ky. (CIEF): As soon as the dust settled in the dressage arena at the Equestrian Centre following last month’s Dressage Show, four young riders from the Cayman Islands Equestrian Federation put themselves forward to try out for a spot in the Cayman Team in the upcoming first round of the inter-Caribbean show jumping competition. In 2013 Team Cayman were placed first in the Barbados leg of the competition and were joint winners of the overall competition with Trinidad. This year’s Team Cayman are keen to go one better and be the only ones with their hands on the silverware. 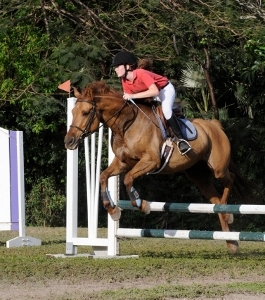 The Caribbean Equestrian Association’s Junior Show Jumping Competition, or ‘JSJC”, consists of four fixtures. Each participating nation takes turns to host one of the four events during the year. The nations competing in 2014 are Cayman, Trinidad, Barbados and Jamaica. The 2014 competition kicked off on Valentine’s weekend in Barbados with two age groups competing, under 16 and under 14. The four younger riders putting themselves forward to win a spot on the Cayman Team were Ashley van den Bol and Madeleine Arquart from the Equestrian Centre and sisters Hannah and Chloe Fowler from Cayman Riding School. The trial requires the riders to ride three of the four horses participating in the trial and challenges the riders to use their skills in riding unfamiliar horses as this is the format of the competition when they travel overseas. Keeping her head, Madeleine Arquart put in three very competent clear rounds to win the trial with no faults and a time of 167.80 seconds. Hannah Fowler was second with 4 faults and a time of 136.26 seconds, Chloe Fowler was third with 4 faults and a time of 150.68 seconds and Ashely van den Bohl fourth with 16 faults and a time of 207.99 seconds. Arquart was delighted with her win and is excited to represent her country in Barbados. It will be the first time that Arquart has represented Cayman in this competition and she shares the experience with Isabelle Smith, who also will also be representing Cayman for the first time. Isabelle Smith was uncontested for her spot on the team and will represent Cayman in the under 16 competition. 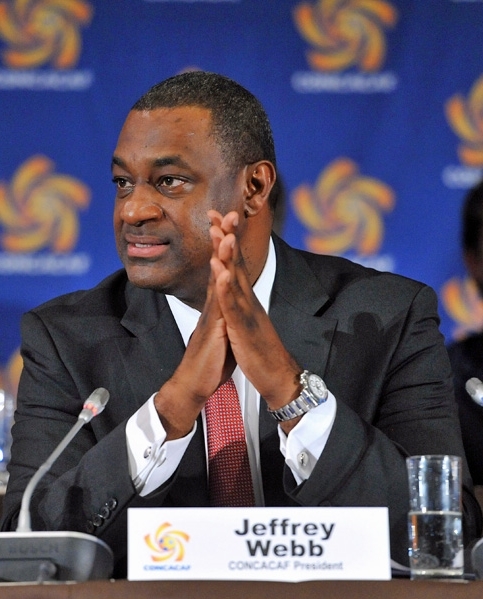 (CNS): Jeffrey Webb, the vice president of FIFA and the president of CONCACAF and the local football association, is using his influence once again to support local events, this time at the University College of the Cayman Islands (UCCI). CONCACAF will be sponsoring a round table plenary session at the UCCI’s upcoming conference on sports ethics, a major theme in Webb’s platform on the international sports stage. The March event aims to raise awareness of the potential for corruption and decline in ethical standards across all the various sectors of society, including sports, and the consequent damaging effect on economies and social harmony. “This is an era of profound opportunity for all of us to make a difference,” said Webb. UCCI President Roy Bodden noted the integral role of sports in life in the Cayman Islands, and the importance of football in the lives of our young boys and girls, men and women. Conference Director Dr Livingston Smith said the Planning Committee was extremely grateful that CONCACAF is on board. “CONCACAF shows its recognition of the importance of focusing on ethical issues in all aspects of society,” he said. The UCCI conference opens on 19 March with keynote speaker Dr Huguette Labelle, the head of Transparency International, an organisation that rates governments worldwide on anti-corruption. The conference will focus on strategies of various regional governments and organisations, public and private, to raise sensitivity to these threats and how to curb and eliminate them. The NGO works in more than 100 countries in the fight against corruption and each year it scores countries on a Corruption Perceptions Index regarding how corrupt their public sectors are seen to be. Dr Labelle will be joined by regional and local heads of states, ministers of government, and directors of anti-corruption agencies. They will be sharing ideas on how corruption can be reduced and eliminated from all sectors of communities across the region. For information on the conference, go to UCCIconference.ky.